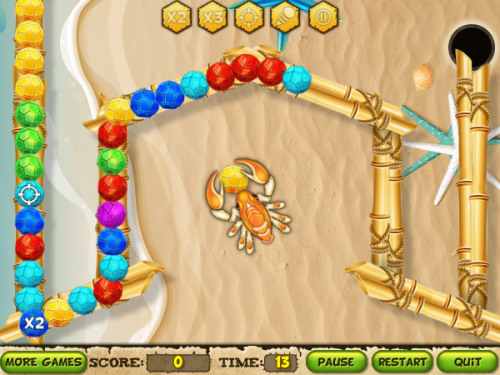 Description Scorpion Blast is a great classic colorful Marble Popper fast-paced game from Free-Game-Land.com. Every level of this game has unique form and graphic content. Match three or more balls of the same color and delete them with the precise shot of scorpion. Don't let the chain to reach the finish otherwise you will have to pass the level again. Score points, publish best result and have a lot of fun playing this cool arcade game with excellent graphics and addictive game-play. Controls The mouse is used to throw the gems.